Every year, the DAAD (Deutscher Akademischer Austauschdienst/German Academic Exchange Service) is offering scholarships for summer courses at universities in Germany. 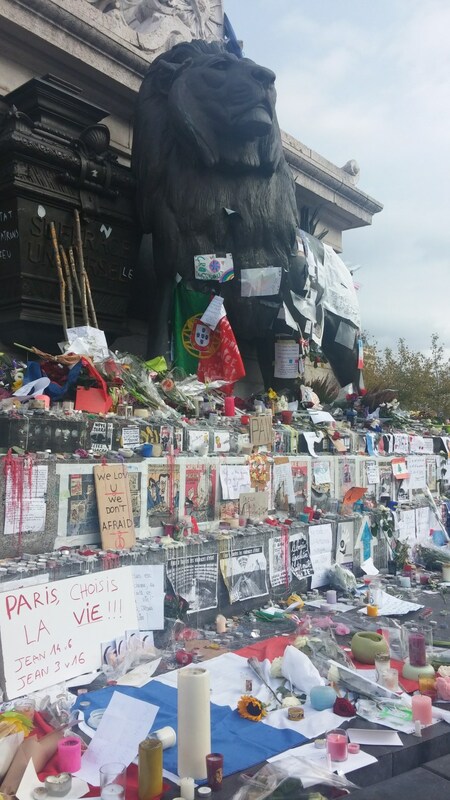 The courses available focus on topics in German language and literature as well as various other subject areas. With the support of our DAAD-Lektorin Sandra Beer, six of our German Studies undergraduate students were successful to receive one of the prestigious scholarships from the German Academic Exchange which enables them to study at a German university for 6 weeks: Stephanie King (year 2), Roisin Forde (year 1), Lauren Davies (year 1), Meili Ellison (year 2), Jonathan Hornby (year 2) and Katie Fountain (year 2) [from left to right]. Congratulations to all of you! 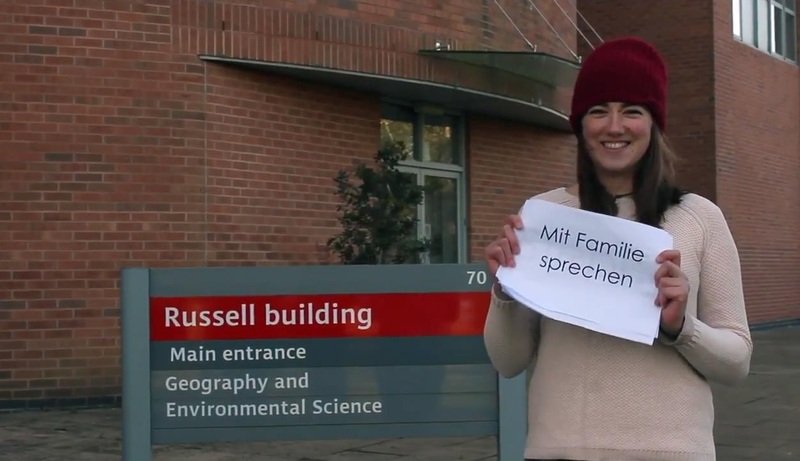 As part of the language module in the Second year of German Studies, students created videos about studying and living in Reading for students at the University of Paderborn in Germany. DAAD Lektorin Sandra Beer established contact with lecturer Mirja Gehring from the University of Paderborn, who sent us a video with questions from her students about student life in Reading. Reading students were extremely creative and enjoyed this alternative method of assessment which resulted in brilliant films about being a student in Reading. The two of us have very much enjoyed the process of creating our video, despite the technological and meteorological difficulties! We were both extremely determined and motivated to make a good and interesting video, as we had the opportunity to show and talk about our University, which is something that we have a lot of knowledge about, as it’s a part of our daily life. It was also the first time that we were given the chance to do something with a creative focus for an assignment, which is something that we both appreciated. In our first planning stages we selected around five questions from the German students in Germany, which we wanted to discuss in our video. We then planned how each of us can answer the questions whilst keeping the audience entertained, which was done by constantly changing the scenery and background. For us it was important that our video is perceived as dynamic and entertaining, thus, showing off our creative sides. 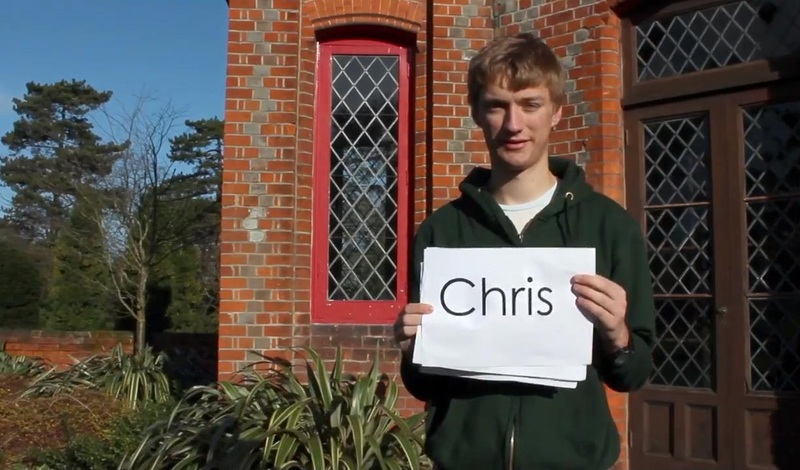 We wanted to create a well produced video to show our audience how proud we are of studying at the University of Reading. 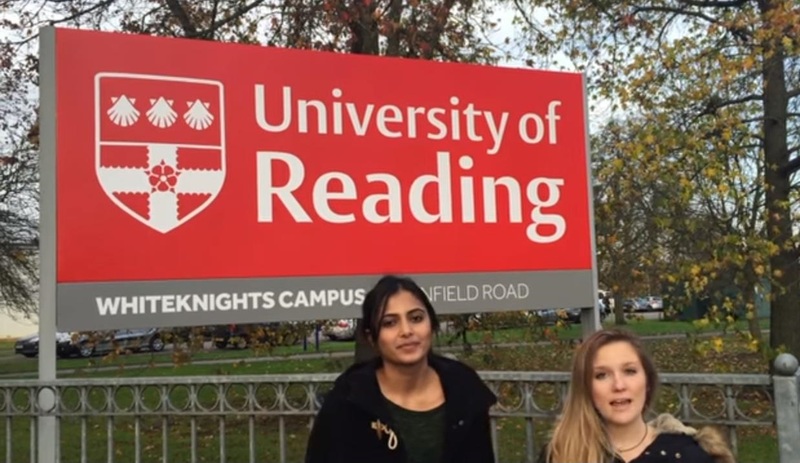 Our aim was to give our audience a genuine insight into our student lives, as we took our audience not only around the University but also around the town of Reading. We showed the parts that we thought were the most important and scenic on campus, such as student accommodation, the Henley business school, the Humss building, and our students union. If you’ve ever been to England you would know that the weather is quite the opposite of predictable, and it just so happened that on all of our filming days, Reading was windy, grey and cold. However, we didn’t let this affect us too much, as we thought it represents the true colours of England and that it’s not somewhere where you can catch a tan! To soften the harshness of the windy sounds on the video, we played around with the sound frequency on iMovie (the software on which we edited the film). This was a life saver for us and helped maintain a consistent and clear sound of our voices throughout the video, therefore helping to exceed the high quality of our video. We found that adding special effects, such as speeding clips up, transitions and additional music, contributed to making our video lively, which was something we definitely wanted to achieve. We also thought that our choice of song, ‘Walking On Sunshine’ was a brilliant touch of irony due to the fact that the sunshine was clearly absent! Additionally, to that, we thought that the song choice represented the atmosphere of our University rather well, as despite the weather constantly being gloomy, our campus remains green, joyful and cosy- a wonderful place to call home. 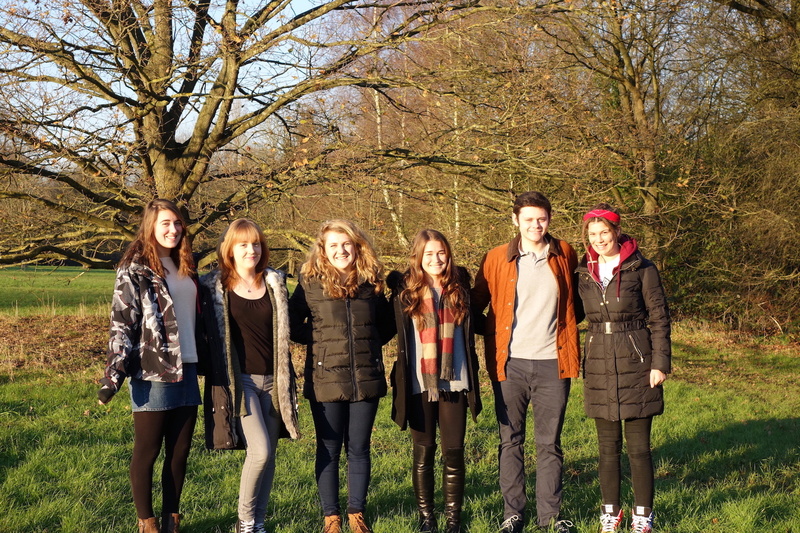 Another video that Paderborn students particularly enjoyed was filmed by Chris Flach and Stephanie King.